When you go camping you depend on your deep cycle batteries, especially if you are dry-camping. To make sure your batteries are up to the task and to help extend the life of your batteries there are a few simple preventive maintenance (PM) checks we can perform. Before we talk about lead-acid battery maintenance we need to discuss battery safety. Lead acid batteries contain sulfuric acid which is extremely corrosive and can cause severe burns or blindness. When you work around batteries you need to wear goggles and gloves, remove all jewelry and do not smoke or use any open flames. If you are not comfortable working on or around batteries have this maintenance performed by an authorized service center. Battery maintenance is actually very simple. 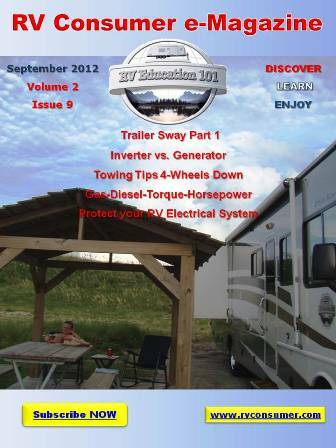 If you perform these PM procedures on a routine basis you can extend the life expectancy of your RV batteries. The first thing you want to do is visually inspect the battery for any obvious damage. Any fluid on or around the battery may be an indication that electrolyte is leaking from the battery. A damaged or leaking battery should be replaced immediately. Inspect the battery terminals, cables, and connectors for any damage and for good connections. Look for any signs of corrosion. Corroded battery terminals or swollen and corroded battery cables will severely reduce a battery’s performance. Clean any dirty battery terminals and connectors using a 50/50 mixture of baking soda and warm water. When you finish cleaning the cables and connectors spray the clamps with a battery terminal protector to assist in preventing corrosion. Check the battery water levels. Checking the electrolyte on a regular basis can save your flooded lead acid batteries. I recommend checking it monthly. If you leave the RV plugged in, with the battery charging constantly I recommend checking water levels bi-monthly. Single stage battery chargers can overcharge a battery and boil off the electrolyte. When you add water only use mineral free water. Distilled water is best. Only fill a battery cell to 1/8 inch below the vent well. Overfilling battery cells will cause battery acid to overflow. Water should only be added after fully charging the battery unless the water level is already below the plates. The plates need to be covered at all times. Another tip is to always recharge a battery as soon as possible after it is discharged. The leading cause for dead lead-acid batteries is sulfation. Sulfation starts when a battery is in a low state-of-charge, and if it remains in that condition for extended period of time, without recharging, it will be ruined. 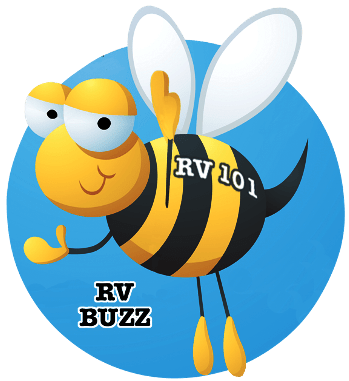 These are simple preventive maintenance procedures RV owners can perform to help prevent battery issues, and extend the life of your RV batteries.